Despite not attending school, Andre-Marie Ampere was to be given an excellent education. t has been claimed that Ampere had mastered all known mathematics by the age of twelve years but this seems somewhat of an exaggeration since, by Ampere's own account, he did not start to read elementary mathematics books until he was 13 years old. Ampere also worked on the theory of light, publishing on refraction of light in 1815. By 1816 he was a strong advocate of a wave theory of light, agreeing with Fresnel and opposed to Biot and Laplace who advocated a corpuscular theory. 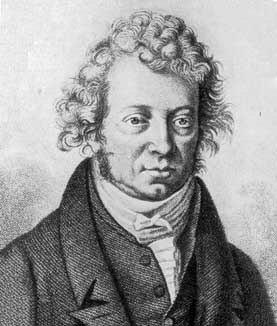 In the early 1820's, Ampere attempted to give a combined theory of electricity and magnetism after hearing about experimental results by Danish physicist Hans Christian Orsted. Ampere formulated a circuit force law and treated magnetism by postulating small closed circuits inside the magnetised substance. Ampere demonstrated various magnetic / electrical effects to the Academy over the next weeks and he had discovered electrodynamical forces between linear wires before the end of September. He spoke on his law of addition of electrodynamical forces at the Academy on 6 November 1820 and on the symmetry principle in the following month. 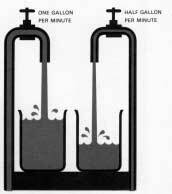 Ampere's most important publication on electricity and magnetism was also published in 1826. It is called Memoir on the Mathematical Theory of Electrodynamic Phenomena, Uniquely Deduced from Experience and contained a mathematical derivation of the electrodynamic force law and describes four experiments.